Ralph’s painting Cosmos has been accepted for the California Visual Artists Exhibition. 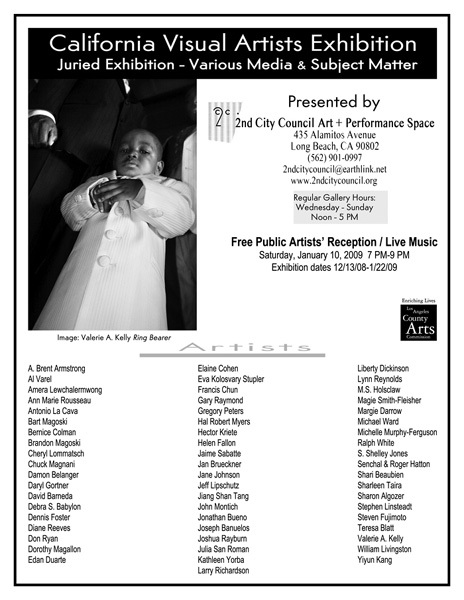 The exhibition runs from December 13, 2008 through January 22, 2009. Please join us for a free Public Artists’ Reception on Saturday, January 10, 2009 from 7-9 pm to celebrate this dynamic gathering of up and coming California artists. Regular gallery hours are Wednesday through Sunday from noon to 5pm.